The Tool & Gage House has been successfully audited to ISO/IEC 17025:2005 requirements for Testing and Calibration by The Laboratory Accreditation Bureau (L-A-B). L-A-B first certified Tool & Gage House in 2000 for dimensional and electronic calibrations and the new accreditation is valid through February 18th, 2019. The L-A-B audit was thorough and included our calibration laboratory, personnel and related processes, as well as “Customer On-site” capabilities, says Bobby Hedgpath, Manager of the Quality Services Division of The Tool & Gage House. 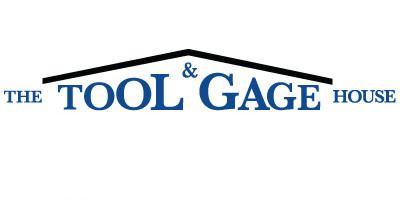 “Results from this audit were some of the best seen, and we are very pleased.” For the latest certificate of accreditation, accompanying laboratory scope and a laboratory equipment list go to toolandgagehouse.com. Since 1976 The Tool & Gage Houses has been working with manufacturing customers to improve quality and efficiency as well as reduce costs and solve problems related to assembly and gaging. We are your Partners in Precision. Proud to be a privately owned North Carolina Corporation (small business) with offices in Charlotte, North Carolina and serving the South Eastern United States. 1-(800) 438-2266. The dynamic nature of our industry provides The Tool & Gage House and it's customers with products which are constantly evolving. New products, manufacturers and improvements are released weekly. To provide you with the best solution, pricing and customer service, we ask that you send us a message with your needs, questions or request for quote so that we may assist you in the best possible manner.